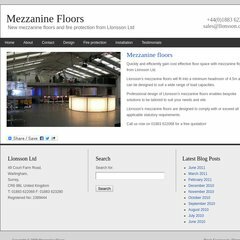 a-mezzanine-floors.inf.. Mezzanine Floors: How much do they cost per square metre ..
a-mezzanine-floors.inf.. Mezzanine floors: Part ‘K’ and Part ‘M’ staircases .. It is written for PHP/5.2.17 language. It is hosted by Theplanet.com Internet Services Inc (Texas, Houston,) using Apache web server. There are 2 Nameservers, ns2121.hostgator.com, and ns2122.hostgator.com. PING (174.120.154.158) 56(84) bytes of data.